In Proximity to New Orleans, Louisiana, The Parks of Plaquemines is Exactly 10.2 Miles From the Central Business District (CBD). So If You Are Planning on Working or Playing in the City, You Have a Short Commute! Click on The Map to View a Larger Size. 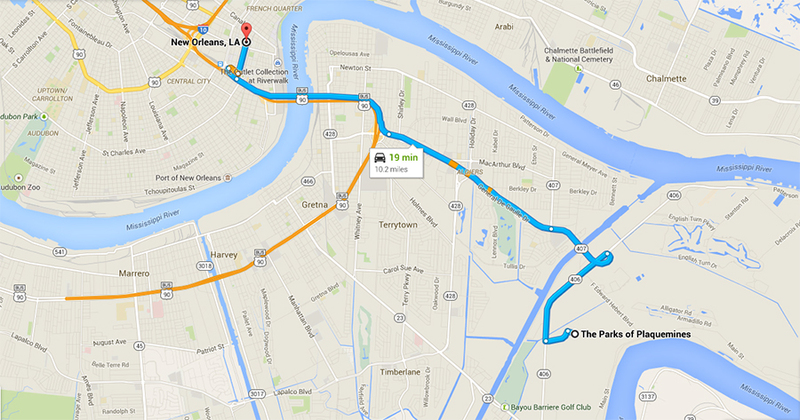 Click Here for the Interactive Map & Directions to The Parks of Plaquemines.